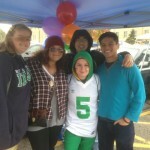 ND/SMC LGBTQ Alum Fundraising Kick Off! This year, we have set a goal to raise $10,000. Reaching this goal will allow us to continue to fund the new LGBTQ Student Scholarship as well as provide continued funding to sponsor and host events that benefit LGBTQ Students, Faculty, Staff, and Alum of the University of Notre Dame and Saint Mary’s College for various events throughout the year. In doing this, we also hope to form a stronger community for LGBTQ Alum and Allies and create networking and social opportunities for years to come! Interested in helping us meet the fundraising goal??? September 19th, 2015 —- Attend the Annual GALA Tailgating at the ND vs Georgia Tech Game! Starting in September ’15, GALA has expanded the options for members who wish to contribute at higher levels. Now, members may sign up for $35, $100, $250 and $500. The “enhanced” levels have a built in donation to the student scholarship fund and provide for several special perks to you. To become a contributing member and/or to increase your contribution go to GALA Membership Levels. 4. Volunteer to host a local event, donate a raffle item to help raise funds, or be creative and tell us how you would like to raise funds to support the campaign. Send us an email with how you would like to help! So, you probably noticed that we finally redesigned our Website. The old one was getting a little long in the tooth and it seemed like it was past time for a visual refresh. In addition to being more modern, this layout is much more news oriented than what we have done before. This is part of our commitment to keeping our members updated on important news and information. Where did the membership directory go? It’s still there and it still works the same way that is always has. You can find a link to it under the Membership menu at the top of the page. Login to your membership profile (again, a link can be found under the Membership menu at the top of the page) and click on the “Renew” button under the Membership Details section at the top of your profile. You can make a gift online by visiting the online giving page. For those who have given in the past, the mechanism is unchanged. If you haven’t given before, take it for a test drive! All donations are tax deductible.